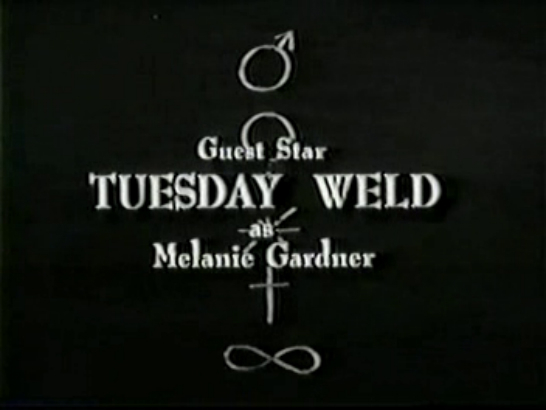 Tuesday Weld was quite busy in 1962, appearing as a guest on at least 8 different television episodes throughout the year. 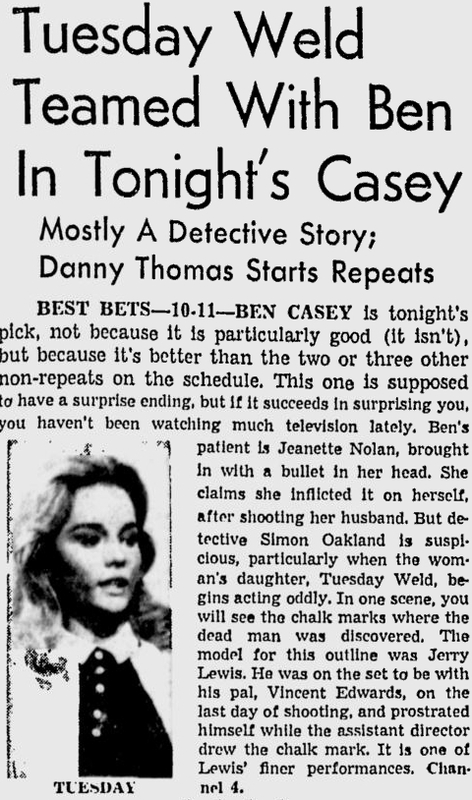 One of these appearances was on the successful medical series Ben Casey. 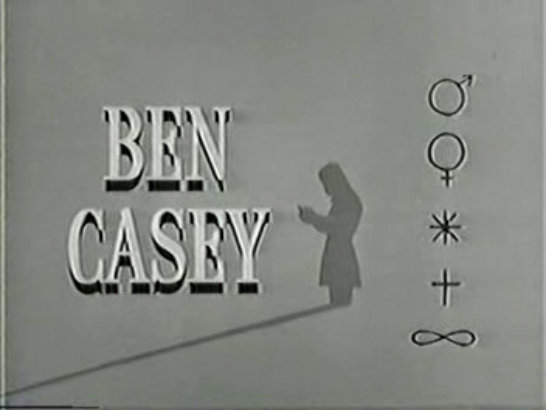 This Ben Casey episode, titled 'When You See an Evil Man', was directed by the famous Sydney Pollack. At the beginning of the episode, Tuesday Weld gives a very restrained performance. True to form, by the end of the show, her tone and demeanor have changed completely. Sure, the outcome is predictable but this Ben Casey episode is quite fun and certainly worthwhile for Weld fans.